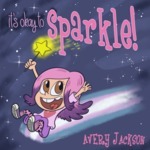 The inspirational story, told in her own words, of 7-year-old Avery Jackson, who was assigned male at birth, but has now transitioned into a young girl, tells the story of how she realized she was a girl and how she helped her parents and friends to understand her transition. Her heart-warming story covers themes of friendship, bullying and self-esteem. Whether you're into dolls, ninja warriors or teddy bears, climbing trees, Tae Kwon Do or ballet, this book lets readers know that it's okay to be who you want to be. Avery's words are incredibly wise and articulate for such a young person and she will undoubtably provide support and inspiration to other families in similar situations. Jackson, Avery, "It’s Okay to Sparkle" (2017). DIVerse Families. 1280.